Comics Experience Blog: CE Staffer Paul Allor Talks Comic Writing on "Vodka O'Clock" Podcast, Ep. 1210! 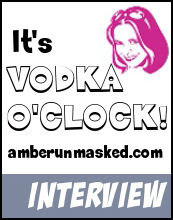 CE Staffer Paul Allor Talks Comic Writing on "Vodka O'Clock" Podcast, Ep. 1210! Episode 1210 of the Vodka O'Clock podcast, hosted by CE alum and Workshop member Elizabeth Amber-Love, recently featured CE Book Club Manger and alum Paul Allor discussing his projects, comic book writing, and Comics Experience! It's a fascinating interview for anyone interested in making comics, and covers a wide range of topics. For example, at one point, Paul discusses a death row inmate whose story he covered as a journalist and the incredible impact of that article on the people in that inmate’s life. "This story later inspired one of Paul’s comics in 'Clockwork.' 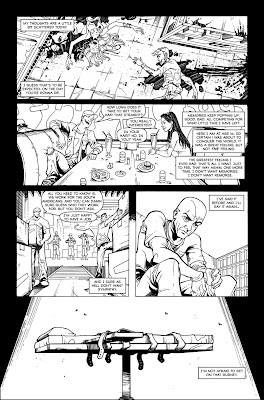 The story 'X-Row' was illustrated by Aaron Houston. It’s one of the stories that shows how Paul tried to think outside the box and in comics that means outside the panel. He wrote panels that are not linear in a form typically structured around sequence." Paul's artist-collaborators have included people such as JM Ken Niimura (I Kill Giants), Brett Weldele (The Surrogates), and Matthew Wilson (Wonder Woman), and he talks openly about his experience producing Clockwork and reaching out to industry editors. In addition to his writing, and the release of his anthology, Clockwork, Paul also discusses his recent work as an Editor on upcoming or released projects such as Girls' Night Out, Gutter Magic, Deluge, and Rex, Zombie Killer.